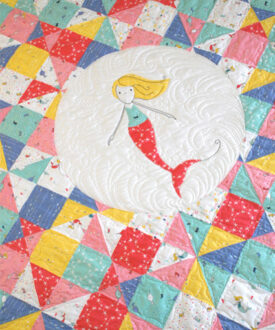 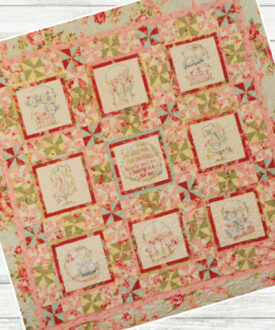 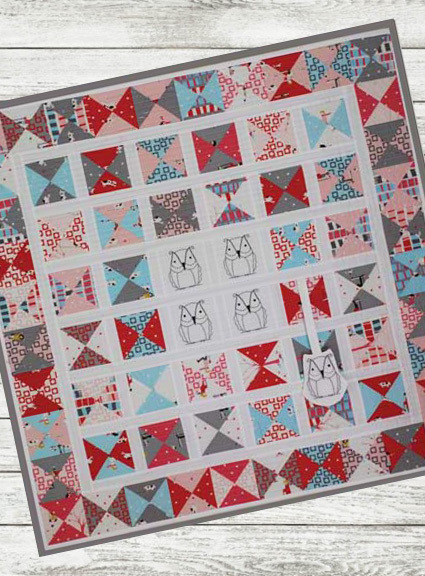 Owlish Quilt was designed with little babies in mind. 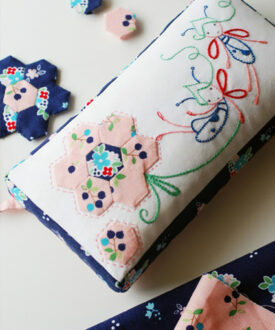 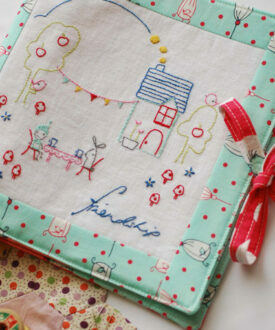 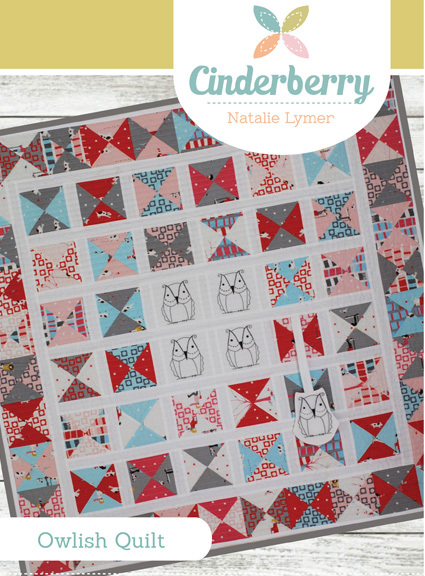 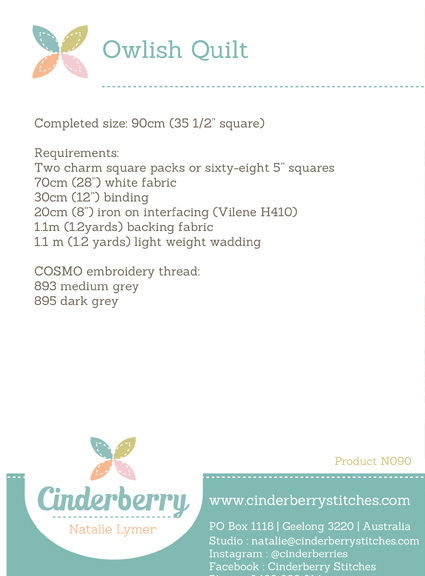 The high contrast of grey stitching against solid white is perfect for little eyes to focus on. 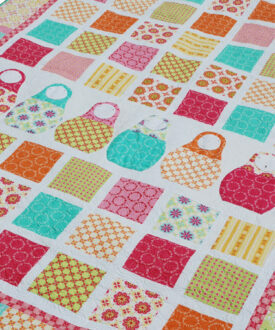 The little flat owl tag is great for little fingers to feel texture, grab and play with. 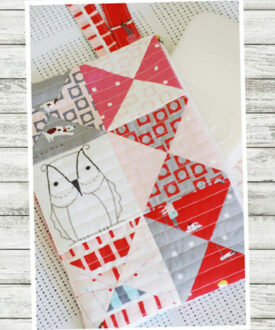 Owlish is the perfect size to snuggle with in the pram or lay out on the floor as a play mat.